I have been living at the convent for the last 3 months. The honeymoon period has now end. The Companions program is in full swing and our new reality has set in. I must admit that it has not all been flowers, sugar, and smiles. There have been times and especially this past week I have been dealing with sadness, and frustration. As this week continued I have dealt with these emotions mostly independently. I did call a few friends at home and they were supportive, saying that they knew what I was feeling. But the best support came from a fellow Companion. Sometimes I just have to express myself and have the other person know what is going on and validate my feelings. I also find it helpful to immerse myself in an activity that takes me out of my mood and reminds me of the activities I enjoy at home. And so I went into the convent kitchen and got lost in the whirl of the kitchen, the feeling of the dough between the table and rolling pin, and the smell of the baking cookies. Baking for an hour lifted my spirits and helped me smile. There will always be days that are long, at times frustrating. Sometimes things can make me mad or just sad. That’s when I need to remember that the little things are the most important. A chocolate Advent calendar given by a friend to share, a conversation shared with a patient at the hospital, or baking cookings may seem like little things but they are important here. The Companions program is still very new and the five of us still have eight more months here to learn, study and follow the path of the sisters in their prayer and ministry. Every so often it’s good for all of us to stop and give ourselves permission to remember home and immerse ourselves in an activity that remind us of home. Into the busyness and routine of monastic life comes the smell of Christmas cookies. Amanda Avery is an SSJD Companion and she loves baking anything but especially cookies. As a fellow ‘cookie monster’, I too recognize the healing power of cookies — the smell, the feel of the dough, the look, the texture, & best of all — the taste when they’re done. I also like baking . . . Christmas cookies especially. Seemingly a humble and simple task, but oh, so therapeutic and satisfying – when I myself and others can enjoy them afterwards. 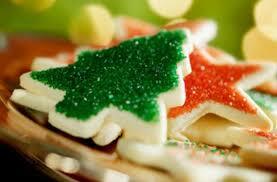 Thank you for your down to earth writing , The smell of Christmas cookies! It warmed my heart! Sincerely, Edna God bless & guide you into the new year & Always!